Our data recovery technicians provide the highest level of hard drive data recovery and repair expertise available. Texas Network Solutions specializes in hard drive data recovery and data retrieval from absolutely any kind of hard disk drive and removable media Apple or PC. Damaged Hard Drive? STOP! Don’t make it worse! Trust your Data to the Recovery professionals, this includes Apple users! Data loss has happened to all of us. One minute your computer is working perfectly and the next, everything is frozen, it won’t reboot, and none of your vital files are accessible. TNS specializes in recovering your valuable data for your business or home computer quickly, safely, and securely. 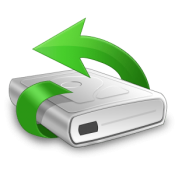 TNS is fully capable for recovering the data for computers, laptops, cameras, and other personal electronics that you use. At TNS, we staff highly trained and educated technicians who know how to communicate with you and your team. We use proven processes and procedures with certified engineers to fix it right the first time. We assign each of our clients a single point of contact for quality customer services, and our depth of staff will ensure that we consistently meet your expectations.